Radium Audio are an Emmy Award winning sound design company. Radium Audio was founded in 2007 by Andrew Diey. Andrew’s journey into sound started at the age of 17 while at the Stockholm Electronic Music Studio in Sweden. Growing up in the ‘80s he developed a passion for analogue synthesizers, vocoders and sonic landscapes inspired by the likes of Brian Eno. He then went on to study music technology and electro-acoustics in Manchester before completing his masters at IRCAM in Paris where he worked as a sound designer. 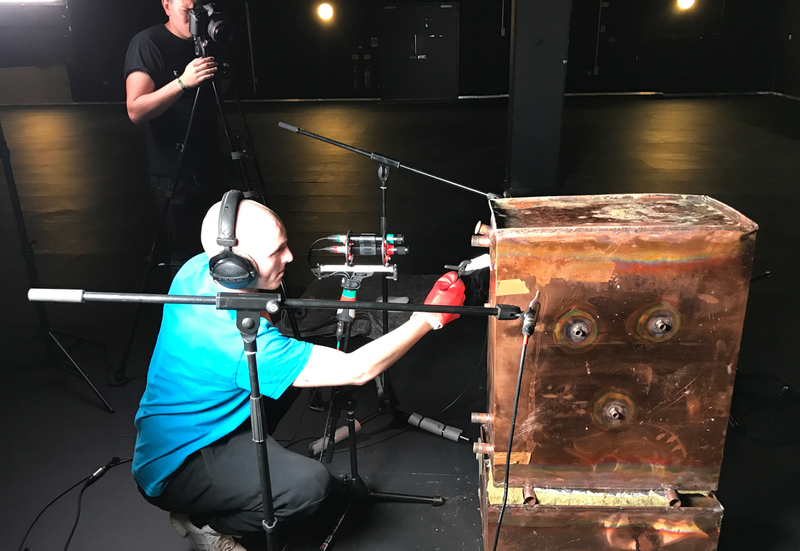 KMR Audio first met Radium Audio when they approached us for assistance in finding suitable analogue hardware to integrate into their busy sound design workflow. They were particularly looking for equipment to manipulate and colour their audio source material and it proved to be the start of an exciting journey for both of us..! At the time, Radium was based in Greenwich, London, and was already collecting many awards and industry nominations, but Andrew wanted to up their game further. 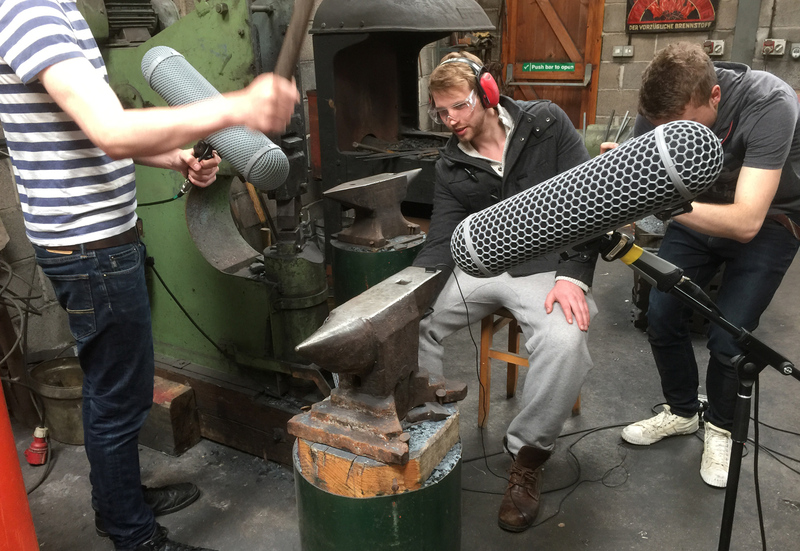 So they relocated to a 3600sq foot facility at the Bottle Yard Studios in Bristol where Andrew set about handpicking a talented young team with the purpose of creating a cutting-edge production hub for sound and music. Radium’s workflow is not simply “in the box” and typically starts with an intensive sound design process. 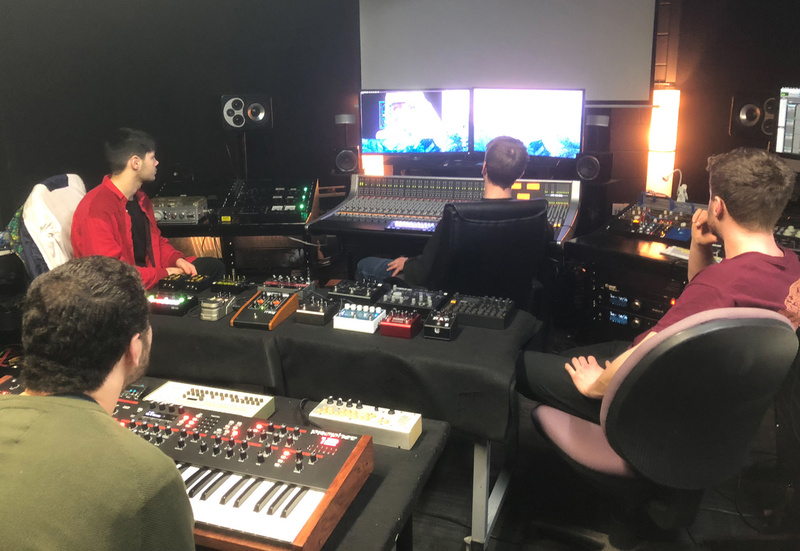 Their “Radiumphonic Lab” is the engine room for sound creation where they bend, mould and shape their audio creations - whether it be with mic'd up old pianos, broken washing machines, modular synthesis, analogue hardware or ambient noises. Work in the digital domain – using an industry standard Pro Tools setup - happens towards the end of the process. For the new facility, they wanted a centrepiece to act as the central workspace for their complex projects and tie these two aspects together. Andrew and his team took a trip to Solid State Logic in Oxford to look at a range of consoles. 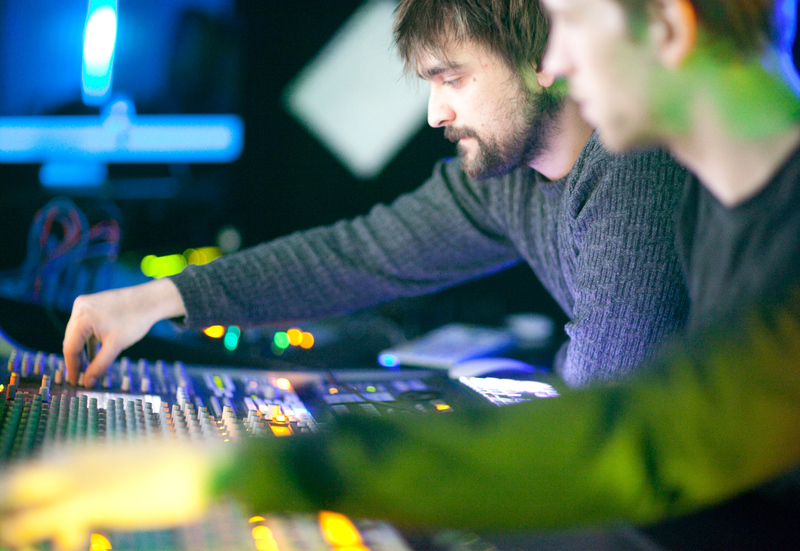 They hoped the balance between the traditional analogue sound of an SSL desk, combined with their demanding approach to audio mixing, would be the best solution for the new Bristol facility. They finally settled on the AWS 948 Delta for its ability to seamlessly integrate their extensive analogue and digital setups – all with the comprehensive recall essential to busy facilities like Radium that typically work on multiple projects for demanding clients and to tight deadlines. At the heart of this is SSL’s Delta-Control software which allows audio tracks created in the analogue domain to be mixed with automation and saved in Pro Tools, all controllable using the console’s faders. With several engineers often operating the desk at the same time, this tactile “hands-on” approach fits in well Radium’s approach to sound production. As Andrew says, "It's like another member of the team". The console has since been heavily put to the test, providing a reliable production platform for their stunning full trailer music and sound design. The AWS 948 δelta has coped easily - unfortunately, the same couldn't be said about the SSL demo room speakers... sorry SSL!